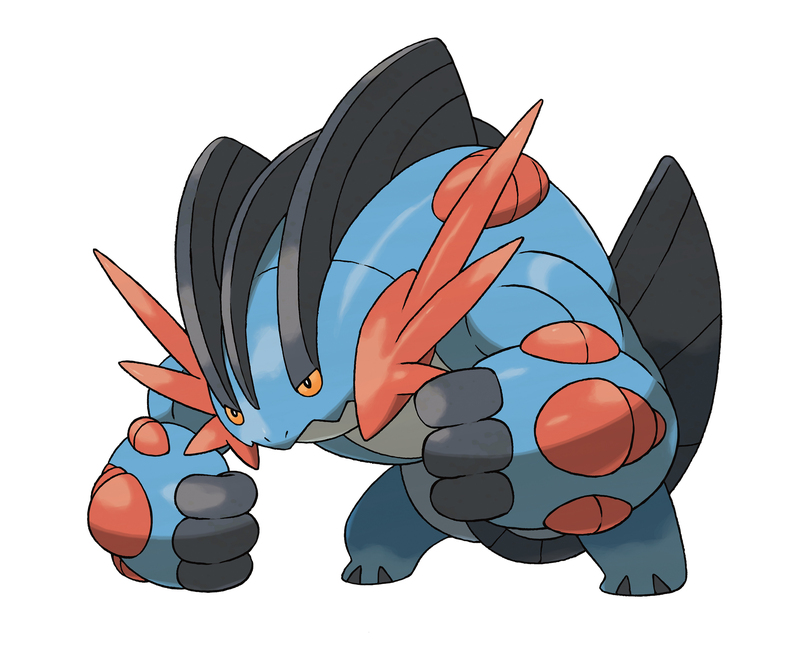 Mega Swampert. Mega Swampert gains an improved Attack stat which makes it even meer formidable when using the Fighting-type verplaats Hammer Arm. Additionally, Mega Swampert gains the snel, swift Swim Ability, which doubles its Speed when the weather is rainy.. HD Wallpaper and background images in the Pokémon club tagged: photo mega evolutions pokemon 2014 omega ruby alpha sapphire.